Monster Cookies always send me down memory lane. I used to grab handfuls of them from my grandmother’s kitchen, and they are my favorite cookies in the world! This recipe is super near and dear to my heart, especially during the holidays. These cookies are part of every memory I have of going to my Granparents’ for the Holidays. My Grandma would take those big tupperware-like cake carriers and turn them upside down to fill with cookies and treats when the family would come to visit. It’s amazing how many cookies those cake carriers can hold. They were like the Marry Poppins bag of tupperware. It didn’t matter how many times I stuck my hand in there, it always came out with a monster cookie. So go on and make a cake-carrier-full of these babies for the family this year. Beat together the peanut butter and butter until smooth and combined. Beat in the brown sugar and granulated sugar. Add the eggs, one at a time, and mix in between each addition. Mix in the corn syrup and vanilla. Dissolve the baking soda in the hot water, then mix into the batter. Mix in the oats and salt. 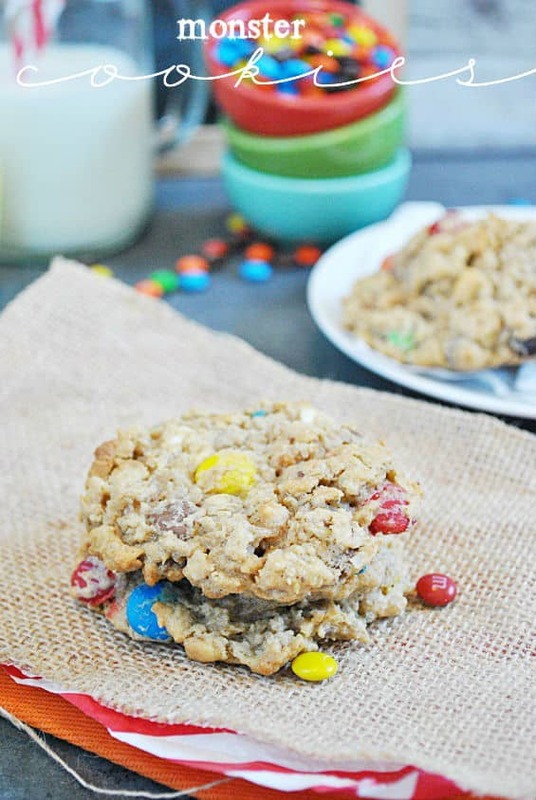 Fold in the M&Ms and chocolate chips. Scoop cookie dough by rounded tablespoons onto a parchment or silicon lined baking sheet. Bake for 9 minutes, until the edges look set and golden, but the top is not brown. These look wonderful, I love the Christmas colored M&M’s! These would be easy to adapt to any time of year. Pinned! We’d love for you to come link it up to our 12 Days of Christmas Goodies! (Day 1 is still open too looking for Candy Bark recipes) But today is Day 2 and we are featuring…. CHRISTMAS COOKIES of any kind (and I think this cookie is perfect)! 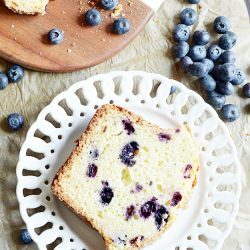 Just discovered your fun blog – its got wonderful personality and so many great recipes! These cookies look wonderful – it’s so funny how certain foods can take you instantly back to your childhood! What a blessing to have such sweet memories of your grandmother! Memories of grandmothers are always so treasured! And these cookies look awesome–yummy! Memories like this makes food even sweeter! These cookies are gorgeous and I bet they taste even better! Visiting from Sundae Scoop. These look so yummy! I shouldnt look at delicious treats like this so late at night. Haha. Thanks for the recipe.. Im having a cookie swap soon and I may have to try these!! I don’t understand how you could not love something with all of those ingredients. My problem would be keeping the M&Ms around long enough to get around to making the cookies! Yum! I love anything that combines chocolate and peanut butter! Love these! I just love anything with sugar, but these look like something I could eat too many of! Thanks for sharing! How big a bag of M&M’s? 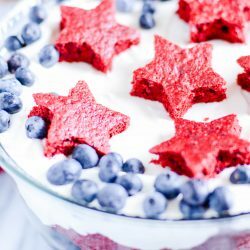 These look just like the recipe I got from my Mom – although you’ve reduced the ingredients to more workable amounts (mine starts with a full dozen eggs, for example) – I love that you’ve adapted this to a dip and a cupcake frosting as well!!! And to Anonymous about the flour – nope, none. I even have this noted on my recipe card. Yep– this is straight from my grandmother’s recipe book… and then reduced by more than half of her recipe! LOL– hers is for a gigantic batch too :) I guess that’s why they’re called “monster” cookies! Ashton! I host all the time and your brownie recipe and monster cookie brookies have saved me from a baked-goods panic attack. Like, “AHHH!!! What am I going to BAKE?!?!? !” I have been baking since circa age 12, and at 31, I am retiring every other brownie recipe in my repertoire. I must have baked a thousand brownies in my lifetime…those are awesome, girl! Keep it up! Those cookies look so good. Ive never heard of dissolving baking soda in hot water & then adding it to the batter. Does this help the baking soda to become more “active” in the recipe while the cookies bake? Thanks so much for your recipes! Yep, it just activates the baking soda a little earlier! Sounds delicious! 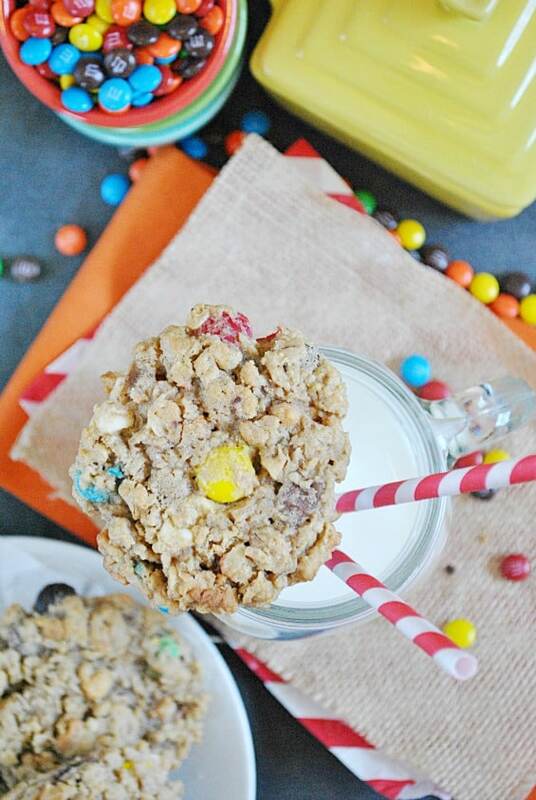 What size package of M&Ms do you use for this recipe?